Doral, Florida, November 8, 2018 - Father and son team, Guillermo and George Rico, are proud to announce the official release of the Gran Habano Corojo No. 5 Gran Reserva 2012. 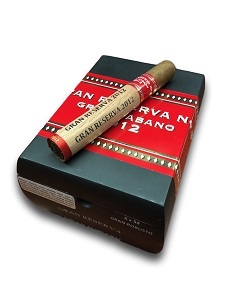 Gran Habano’s Gran Reserva cigars are made using the top 10% best leaf from the yearly crop and aged for an extra seven to eight years prior to the cigar being rolled. It is then aged for a period of four to six years additionally as cigars. The 2012 installment has been aged an additional three years longer than any other prior Gran Reserva release. 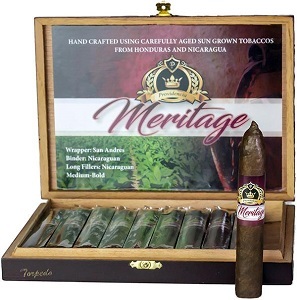 These cigars offer a bold new experience in full-bodied premium cigars made with vintage tobaccos. 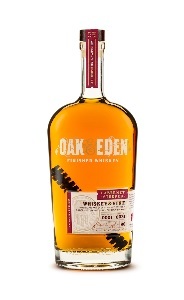 Expect a remarkably smooth, earthy and spicy smoke, accompanied by notes of sweet wood and espresso for this aged smoke. 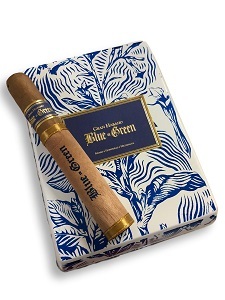 The Gran Habano Corojo #5 Gran Reserva 2012 is currently shipping to retailers nationwide. Earlier today, the US Food and Drug Administration (FDA) updated its roadmap for regulations, called the Unified Regulatory Agenda. This outlines the regulatory priorities and perspective timeline for the FDA and other federal agencies. Importantly, on its agenda, the FDA noted their recent review for premium cigars remains ongoing, meaning the agency still considers this issue an open item. However, the FDA did not prescribe a specific timeline for any potential action on item, instead noting that it is “Long-Term Action” that will be addressed at a date “To Be Determined.” In short, the premium issue is an agenda item, but it is unclear at the moment when any regulatory change will come to the product category. The FDA recently solicited thousands of comments from industry and the public at large for data on the use and public health impact of premium cigars. IPCPR’s comment provided a significant amount of government sourced data and statistics that definitively show premium cigars are not a public health concern for youth or adults. IPCPR will continue to press this issue on behalf of our retailers and the industry and provide any and all updates as necessary. Today’s Unified Regulatory Agenda also included a new FDA proposal to prohibit “characterizing flavors” in all cigar products. Earlier this year, the agency solicited comments from the industry and the public on flavors in all tobacco products and what, if any action the FDA should take. It is unclear what the FDA’s intended timeline for this initiative is. IPCPR will continue to engage with the agency and others in industry as the agency pursues this objective. 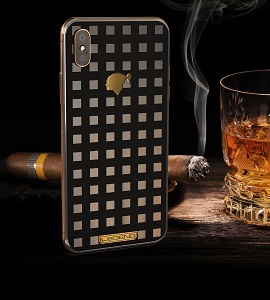 Legend has launched the world's first cigar themed phone as part of their new iPhone XS collection. The company that pioneered the bespoke phone and smartwatch concept has collaborated with Finnish cigar accessories company Conocedor to create this Cohiba tribute iPhone for the Cohiba fans worldwide. Like the rest of the products from these companies, the phone is handcrafted by experienced artisans with high attention to detail. Each phone is made to order and additional bespoke features can be requested as with other phones from Legend Helsinki: Hand engraved gift inscription plate, custom logo, alternative precious metal plating and more, although the customization options on this model are more limited than for their other models. 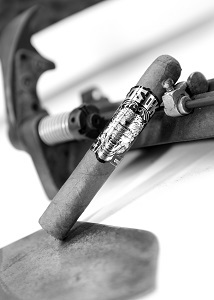 The Cohiba model is Legend's tribute to the finest cigar brand in the world. The iconic Taino Indian head logo is made of solid 18 karat gold to emphasize the gold theme found in Cohiba's premium quality Behike cigars. The squares are machined into a mirror polished solid silver plate and the spaces are filled with black enamel to give a unique inlaid appearance. Featured presenters Will Woodlee, partner at Kleinfeld, Kaplan & Becker, LLP, and Daniel Trope, Senior Director of Federal Government Affairs for IPCPR, will bring you up to speed on what you need to know about FDA Regulations, and how the 2018 Congressional Elections could impact the premium cigar and pipe tobacco industry. Register now for this can’t-miss conversation on politics, cigars and compliance. There are a limited number of viewing slots available for IPCPR Webinars. Pre-registration will be cut off approximately two hours before the broadcast, or when the registration allotment is reached. IPCPR Webinars are recorded for the viewing convenience for those who are unable to view live. 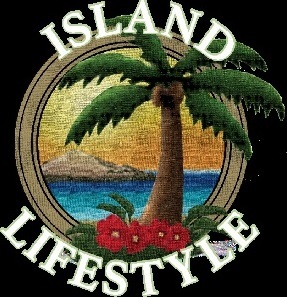 Beginning on Friday, November 16, members may request a link to view the recorded webinar via the Webinar Request Link Form at the Association's website, www.ipcpr.org. Last week, the FDA held a conference on tobacco regulation. The agency invited Drew Newman, J.C. Newman's general counsel, and a fourth-generation cigar maker, to address the conference on behalf of the premium cigar industry and respond to questions from the audience. Below are Drew's remarks. 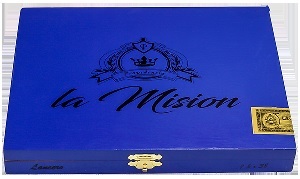 In his speech, Drew explained that "premium cigars are an old-world, handmade craft enjoyed by adults." "It is not a science," he said. "It's an art, and the tradition has been passed down from generation to generation." 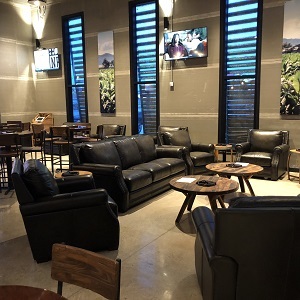 He discussed how the latest FDA data show that premium cigars are smoked infrequently and by adults — not children — and that the entire premium cigar industry is just 0.5% of the entire tobacco industry. He noted that the FDA's guidance is "completely unworkable for handmade cigars." In urging the FDA to provide relief, Drew said, "Our one goal as a family business is to continue my great-grandfather's legacy and continue hand rolling premium cigars in America for another four generations and 123 years." 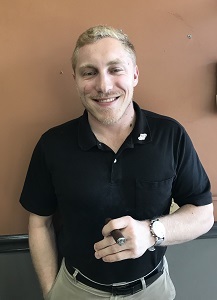 Springfield, VA (November 1st 2018) – Omar de Frias is proud to announce the hiring of Samuel Dietz as the new Director of Sales for the Mid-Atlantic for Fratello Cigars. Sam is an energetic and engaging young leader. With his background and sales acumen we expect to boost our presence and product traction in the northeast.” Said de Frias. “When it comes to business growth one of the hardest things for any entrepreneur is to learn to let go and delegate key aspects of the business. This is the moment where we double down to keep up with our accelerated growth. Said de Frias. 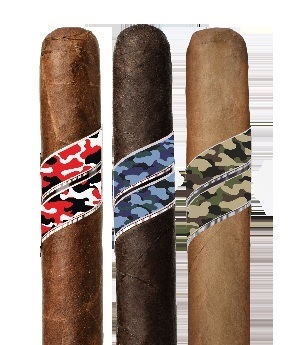 “I’ve been an avid cigar smoker and fan of Fratello for years. This opportunity comes full of challenges and with a clear path to learn from Omar and expand my knowledge of tobacco.” Said Dietz. 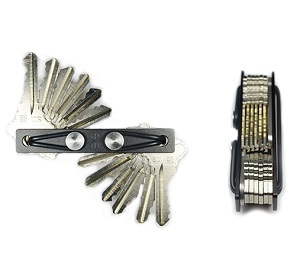 Screwpop® Tool to offer "Tether™ - Universal Key Holder and Organizer"
The latest in compact and highly functional tools, Screwpop® introduces - Tether™, that makes attaching, removing and carrying your keys made easy. The Tether™ uses an revolutionary anchoring system. It's completely "tool-less" and requires only your hands to fully assemble and/or disassemble.